Google Partners Accounts: Personal or Company Email Address? Setting up Google Partners account is a milestone for many digital marketers. This is when things get official. However, I’ve had many people approach me with confusion about the best way to set up Google Partners account. This is especially true for small agencies. An individual may be setting up a Google Partners account on behalf of their company, yet they are the only person managing the account at the time. Should you use a personal email address or company email address for a Google Partners account? Instinctively, we want to set up the account for our company using our work email address. The logic is that since we are creating a company account, it should be using a company email address. I’m here to tell you why you shouldn’t go down that road. But first, what is Google Partners? Google Partners is a portal where advertising agencies can manage their certifications with Google. It is also a place where agencies can create a listing to gain new business opportunities. 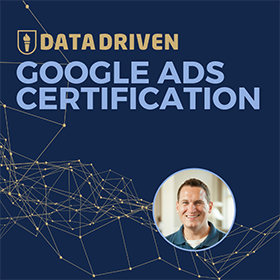 A Google partners account can be used to generate new business for agencies, while also serving as a hub for employees to manage their Google AdWords and Analytics certifications. So both individuals and companies rely on Google Partners to prove their knowledge. And this is where the challenge starts. What can you do with a Google Partners account? Individuals can affiliate their account to their employer’s profile. 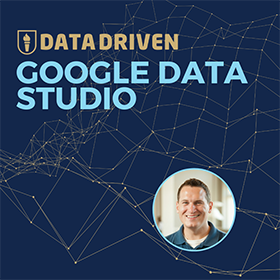 This helps companies achieve Google Partner badges in various areas of expertise (Search, Mobile, Shopping advertising, etc.). 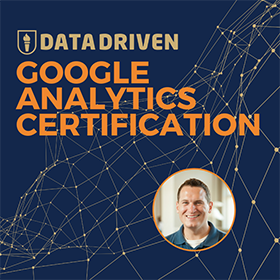 Earn individual certifications in Google Analytics and Google Adwords. These certificates are prerequisites to earning said badges. Receive performance suggestions and reminders from Google. While the quality of these suggestions may not always be great, it can be useful to have a second pair of eyes reviewing your client accounts. Administrators of the company Partners profile will receive tips from Google on how to earn Google Partner status. Google will send opportunities for taking part in research studies and user testing on various Google products. News, special invitations and promotions: Google will send invitations to Partners events, training sessions, and competitions. Here are a few simple steps to sign up for an individual Google Partners account . Step 1: Visit Google Partners. Under the Join Google Partners tab, select Join Now. Step 2: Sign up with your personal email address. Go through the verification process, and agree to the Program Terms and Conditions. Google suggests using an email address that you check regularly. But another very important consideration is using personal email address instead of company email address? Here’s why this is important. Your Google Partners account should go with you wherever you are employed. You should always have access to your certifications, because you earned them! Think of it like your LinkedIn account. Your company email address is inaccessible once you stop working for that company. But you will always have access to your personal email address. No access to email address = No way to prove you are certified through Google Partners. Step 3: Once you are in your new Google Partners account. The quick start guide will show you around. Set up your profile with information on your job function, interests, etc. Step 4: Link your Google Partners account to your company’s profile. We do this by setting up an affiliation. Remember that you can only set up an affiliation if your company already has a profile in Google Partners. Otherwise, you won’t be able to find it in the database. If the company does not have a profile yet, this guide will help you create one. Under Company Affiliation, search for your company, click on Affiliate. You’ll now see the status as Pending. Now, sit back and wait for your company’s admin to approve the affiliation. Step 5: Once your affiliation has been approved, you’ll be able to view your company profile. You win because you are certified, and this sticks with you for 12-24 months, depending on the certification. Your company wins because you are affiliated with them and potential customers can see the great work you are doing. And whether you stay with your company or move on, the certification stays with you forever. No awkward calls to change the email address. No hurt feelings. Just a bunch of certified marketers making the marketing world a better place. And if you are not certified? Then let’s work on getting you Google AdWords and Google Analytics certified.